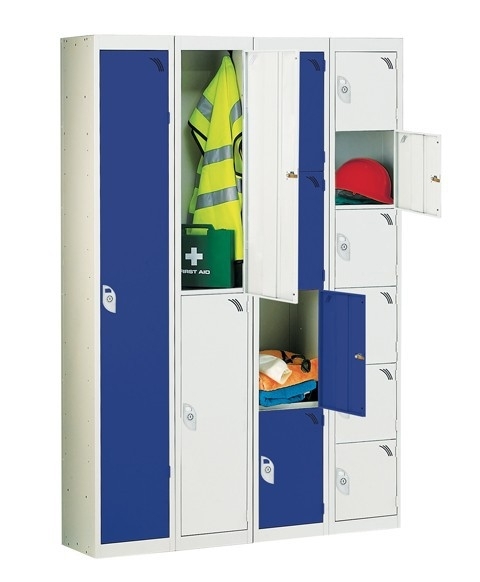 Superb range of high quality lockers with reinforced doors and fully welded front frame. Comes with a key operated cam lock with 2,000 differs. 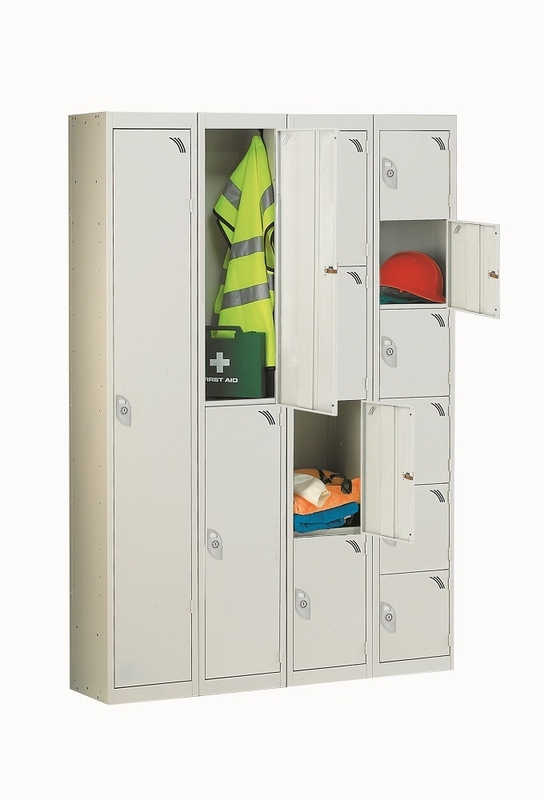 The single door unit comes complete with a hat shelf and a twin coat hook. Express lockers will be delivered within 2 days. Delivered fully assembled, ready to use! Size: 1780 (H) x 305 (W) x 305 (D) (mm). Strengthened and ventilated doors with rubber buffers. Powder coated with Germ Guard Active Technology anti-bacterial paint. Pre-drilled for nesting. Available in light grey or dark blue doors. Delivered fully assembled, ready to use!